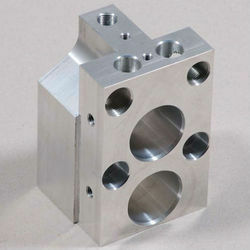 Pioneers in the industry, we offer precision vmc cnc milled components services from India. All types of VMC Job Work, CNC machine job work, on our latest design CNC machines. With our long years of experience in the industry, Our offered VMC job works are as per the client requirement (drawings) and needs at very cost effective prices. These CNC job work services, all types of VMC Job Work, CNC Lathe machine job work, on our latest design, with our long years of experience in the industry, CNC Machined Components, VMC Machined Components, Precision Machine Components, We offer to our esteemed client precision job work as per their needs. Looking for Vertical Machines Services ?